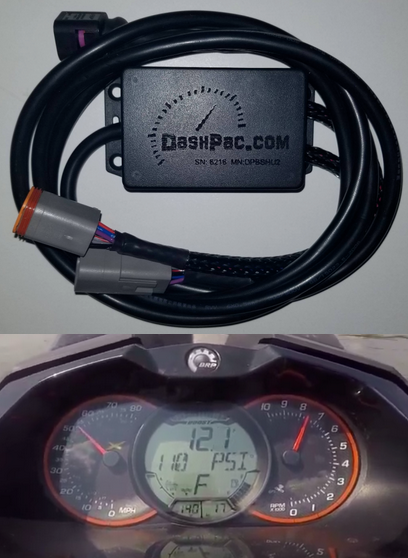 DashFlash for X-style Sea-doo Dash Clusters. This includes reflashing your approved part number Dash. Includes return shipping. And this package deal includes the AFR add on module that controls the provided lambda sensor and sends information to the dash to display AFR on the dash. Without this the Dash AFR display will read zero at all times. You are responsible for carefully packing and shipping your Dash to us. We are not responsible for damages or lost shipping. Please insure your shipping as needed.